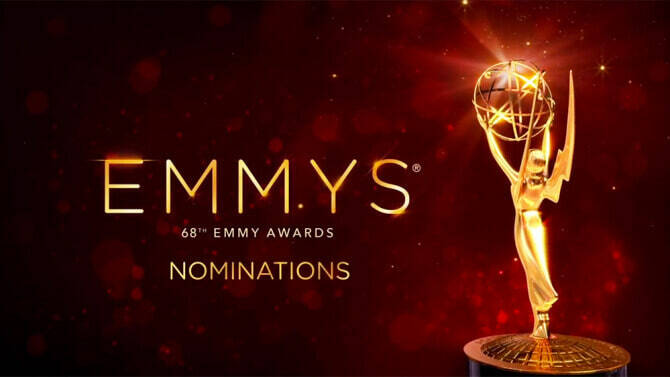 HOME / TRENDING / 5 WINNERS AT THE 68TH EMMY AWARDS THAT WE DID NOT PREDICT! Rami bagged his first Emmy for the ‘Outstanding Actor in a Drama Series’, winning over heavy competitors. He plays an engineer caught in a hacking conspiracy in the series ‘Mr.Robot’. “Oh my God. Please tell me you’re seeing this too,” he said, stunned after receiving his award. Omg, indeed! After four seasons Tatiana finally won her first Emmy for ‘Oustanding Actress in a Drama Series’, which was quite a surprise. She has played several roles in ‘Orphan Black’, which demanded recognition. She beat Viola Davis from ‘How to Get Away with Murder’ who broke history being the first black woman to win the award last year! These two won the award for ‘Outstanding Writing for a Comedy Series’, where Alan got to give a thank you speech but when it was Aziz’s turn, the orchestra interrupted him so he scurried off of the stage. Alan said, “Asian parents out there, if you can just do me a favour, buy your kids a camera instead of a violin and we’ll be all good.” Hah! 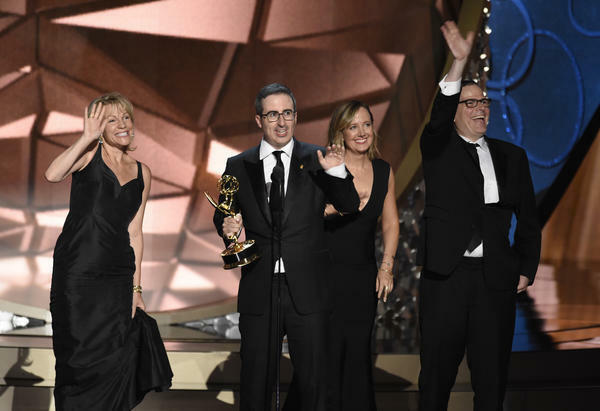 Host/executive producer John Oliver, executive producers Tim Carvell and Liz Stanton, and producer Diane Fitzgerald won the award for ‘Outstanding Variety Talk Series’. John said, “I thought Beyonce was gonna be here. I saw a seating chart and I was supposed to be sitting two rows behind her and I was going to stare at her head and experience happiness in a way I haven’t felt before … so this evening is a bit disappointing.” Always witty, this guy! Sarah won the award for ‘Outstanding Actress in a Limited Series’ where she played the role of Marcia Clark. She bought the real Marcia Clark to the Emmys because she is such a sweetheart and gave her an apology during her speech for the mistreatment that Marcia had faced in reality. She even thanked her girlfriend with “Holland Taylor, I love you.” How adorable! Sometimes the winners are obvious and sometimes they just get lucky!